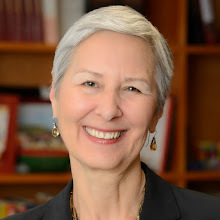 This guest post is by Janet Eom, the Research Manager at the SAIS China Africa Research Initiative at Johns Hopkins University. After his historic Africa tour, President Barack Obama is back in Washington. It was the first time a sitting U.S. president visited Kenya and Ethiopia, and Obama’s roots in Kenya lent a personal touch. But even in a story of the U.S. in Africa, China was present. But as this is a story of diplomacy, how much exactly have the two governments’ leaders visited Africa? There is rhetoric, but there is also the decision to visit in the first place. In 2009, the year Obama became president, China became Africa’s largest trading partner, surpassing the U.S. Although we can’t conclude a cause-effect relationship between presidential visits and changes in trade, it is interesting to look at patterns. This approximate timeline of visits that involved meeting with African governments in the several years before and after 2009 is strung together via the U.S. Department of State, Office of the Historian and China Vitae. 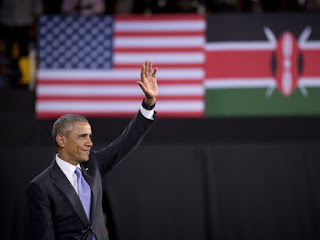 Bonus: August 4-6, 2014: U.S.-Africa summit of 50 out of 54 African heads of state in Washington D.C.
Five months into his presidency, Obama made his first visit to Africa. Xi made his two weeks after assuming office, his first foreign tour. As many people suggest, are Obama’s second-term, “end-heavy” Africa tours an after-the-fact catch-up effort? Indeed, Hu intensely traversed Africa every one to two years, before halting once the trade balance shifted in 2009. However, at the same time, Bush did conduct pre-2009 tours in both his terms. With more information, it would be interesting to track whether the trade changed first, then the tours, or vice versa. While both Obama and Bush made short stops, neither Hu nor Xi had one or two day stopovers – all their visits were tours, with Hu visiting a whopping 8 countries in 11 days at one point. Perhaps this is because Chinese media does not publicize short visits, focusing on significant, committed trips instead. But maybe the Chinese trips are purposefully long to convey stateliness and intention. Chinese diplomats have been associated with formality and red carpet treatment to convey importance. Meanwhile, Obama emphasized his personal identity as the first Kenyan-American president of the U.S. What is the role of culture in diplomacy in Africa? Overlap of countries between U.S. and China visits: Egypt, Nigeria, Kenya, Liberia, South Africa, Senegal, and Tanzania. What may be some common priorities for potential U.S.-China-Africa collaboration in these countries? Of course, counting visits only goes so far and there’s a lot to explore beyond this post’s scope; we need to track concrete commitments. But leader-to-leader diplomacy is symbolic, conveying priorities and intention. For now, it seems that any future U.S. or Chinese state visit to Africa will not occur without drawing comparisons to the other. It will be something for the next U.S. president to ponder. "Chinese, Kenyan Presidents Agree to Enhance Co-op." Gov.cn, 28 Apr. 2006. Web. 4 Aug. 2015. <http://www.gov.cn/english/2006-04/28/content_269154.htm>. "Chinese President Concludes Five-nation Trip." Forum on China-Africa Cooperation. Ministry of Foreign Affairs, the People's Republic of China, 18 Feb. 2009. Web. 04 Aug. 2015. <http://www.focac.org/eng/zt/Topichjt2009/t607439.htm>. "Chinese President Hu Jintao Wraps up Successful African Tour." China View. Xinhua News Agency, 11 Feb. 2007. Web. 04 Aug. 2015. <http://news.xinhuanet.com/english/2007-02/11/content_5724926.htm>. "President Hu's Arab-African Visit Fruitful: FM." China View. Xinhua News Agency, 30 Apr. 2006. Web. 4 Aug. 2015. <http://news.xinhuanet.com/english/2006-04/30/content_4492702.htm>. Stone, Amanda. "President Obama Travels to Kenya and Ethiopia." The White House Blog. The White House, 26 July 2015. Web. 04 Aug. 2015. <https://www.whitehouse.gov/blog/2015/07/26/president-obama-travels-kenya-and-ethiopia>.